Conveniently charge multiple devices in one location with a single wall outlet. No more losing cords behind desks or searching for the right charger for each device. 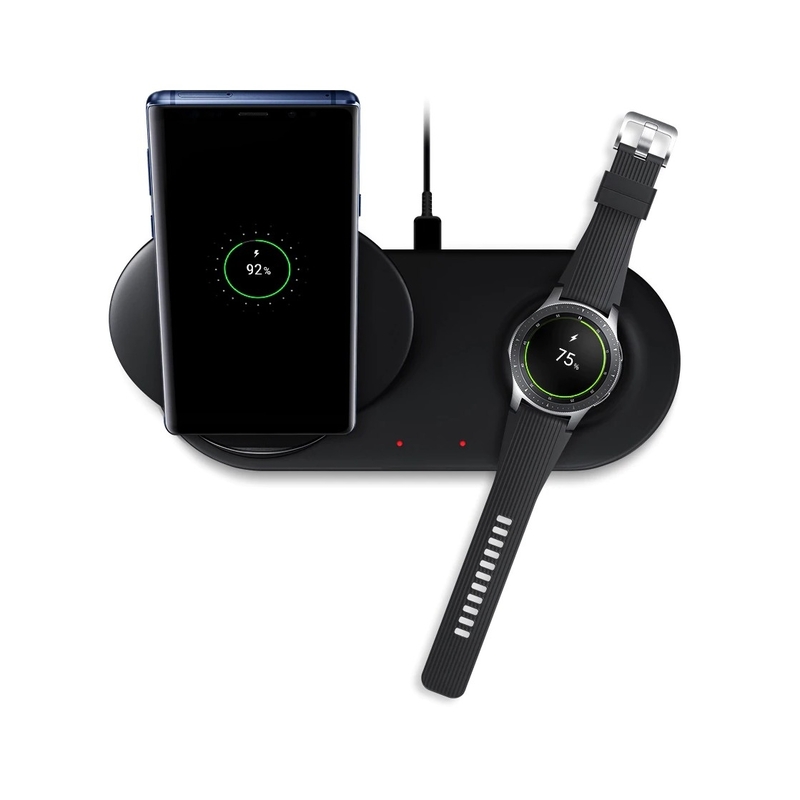 Samsung Fast Wireless Charging empowers you to set down your phones or Samsung smartwatch and know that they will be charged and ready when you want it, right where you want it. Charge up to two smartphones by simply setting them down. 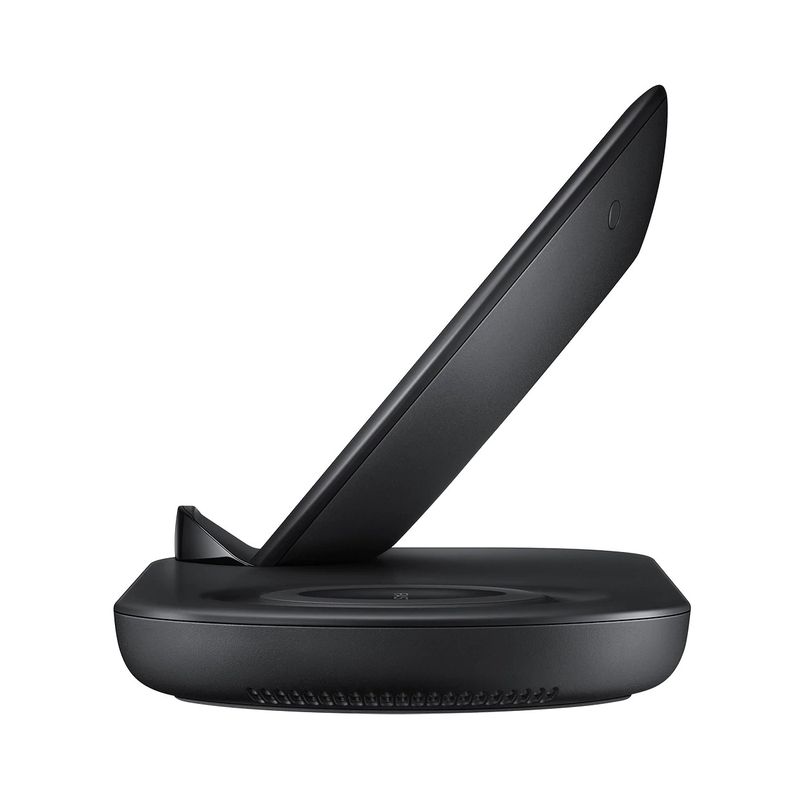 Advanced Qi wireless charging technology enables you to charge your device without plugging in a cable. The Wireless Charger Duo can charge your Samsung smartwatch too. Gear S3, Gear Sport, and Galaxy Watch can charge in the same location as your phone by simply placing your watch on the charging pad. With a Galaxy S9, Note9 or other compatible Samsung smartphone, experience up to 7.5W Fast Charge wireless charging output. 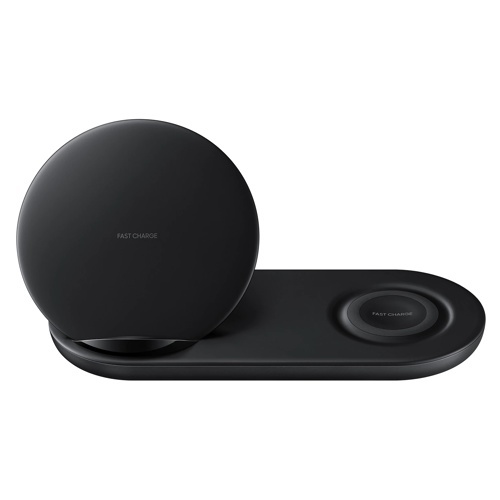 The Wireless Charger Duo is Qi compatible meaning any Qi-certified products can take advantage of it, including the Samsung Galaxy S8, Samsung Galaxy Note8, Apple iPhone 8, and Apple iPhone X. A built in fan and vents keep your device and the charger cool for more efficient Fast Charging.